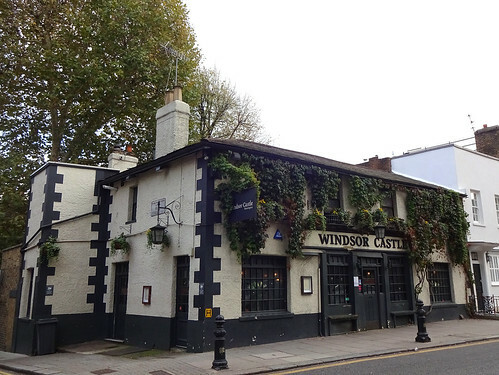 This week's featured article is for the Red Lion in Isleworth, a pub with a whole bunch of interesting ales for you to try. They've got a pub dog AND a pub cat who both like Rick Astley. 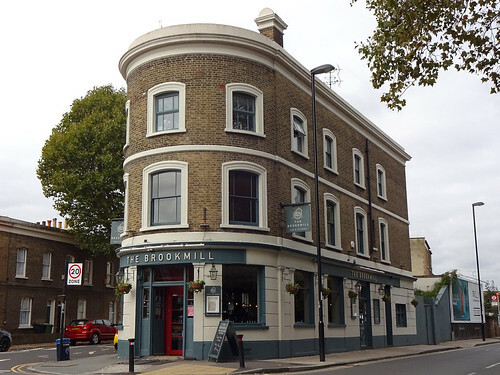 Our new articles are located in West London this week: the Thatched House is a Young's pub in Hammersmith with a decent macaroni cheese and an open fire, and the Garden Bar is a bar with a garden in Notting Hill, which also features automatic mayonnaise. 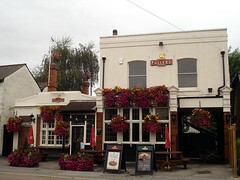 There's a significant update to the Sovereign of the Seas, a Wetherspoons pub in Petts Wood. 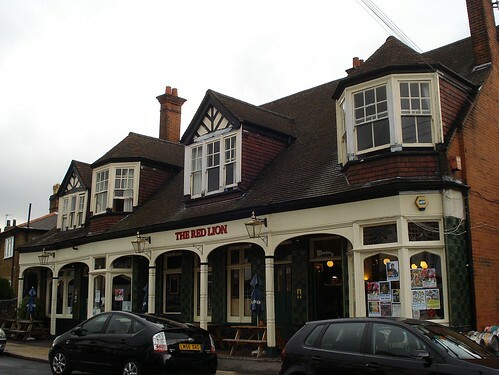 If you don't know anything about Petts Wood, the pub has a handy guide to the history of the area. Chung Viet in Deptford has closed (for hygiene violations, so no great loss, it seems), and so has the Whitechapel branch of Mirch Masala (albeit temporarily, following a fire). New featured article — Books For Cooks, W11 1NN. 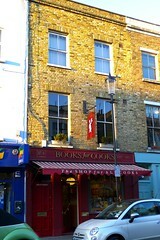 This week's featured article is Books For Cooks, W11 1NN, a Portobello Road bookshop and cafe devoted exclusively to books about cooking and food. Recent additions to RGL include Deli Felice, a nice little local cafe near Rotherhithe Station; Bermondsey Brazilian Shop, a small Brazilian cafe and grocery shop on the Bermondsey/Rotherhithe borders; Canteen, a British restaurant in Canary Wharf; Preto, a Brazilian rodizio restaurant in Putney; and New Aroma, a Sichuan/Fujian restaurant on Gerrard Street in Chinatown. Only one reported closure, but it's a big one: Pacific Plaza in Wembley, mooted as the replacement for the much-missed Oriental City, has now closed in its turn. The Pacific Plaza website claims that the closure is temporary, but problems have been evident for some time. The supermarket failed to materialise despite being promised as "opening soon" for over a year, their PR agency reported repeated non-payment of invoices last December, and at the time of writing the Doki (crockery shop) website states that although all Pacific Plaza tenants had been paying their rent, Pacific Plaza was not paying their own rent to Wembley Retail Park. 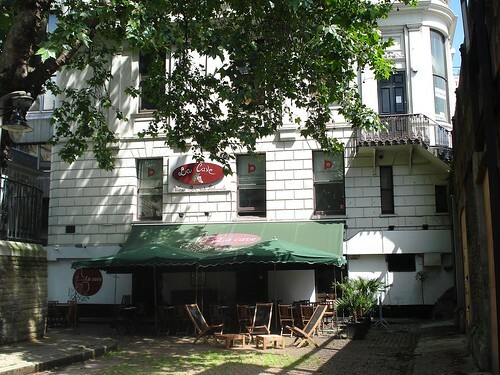 New featured article — Taqueria, W11 2RS. This week's featured article is Taqueria, W11 2RS, a restaurant in Notting Hill/Westbourne Green serving Mexican cafe-style food. Recent additions to RGL include Butchers in New Malden, Matsuri in St James's, Pescheria Mattiucci in Notting Hill, and Breads Etcetera in Brixton. 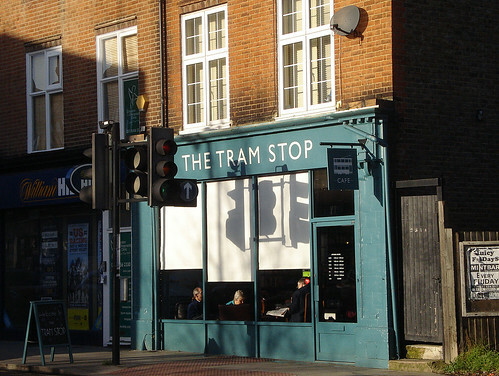 Reported closures are Bou Tea in Covent Garden, S & M Cafe on Portobello Road, Efe in Stoke Newington, Yami in New Malden, and the Rifleman in Twickenham. New featured article — Joy King Lau, WC2H 7BL. 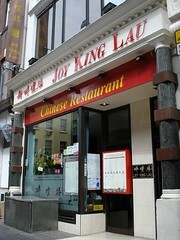 This week's featured article is Joy King Lau, WC2H 7BL, a Chinese (specifically, Cantonese) restaurant in a side street just off Leicester Square. They offer decent dim sum until 5pm, as well as a full menu of Cantonese specialties. Service is brisk and efficient. 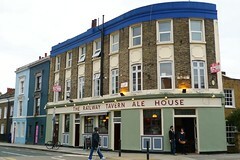 Recent additions to RGL include Wuli Wuli in Camberwell and Taqueria in Notting Hill. One reported closure: Itsu on Wardour Street. kake - New featured article — Books For Cooks, W11 1NN. kake - New featured article — Taqueria, W11 2RS. kake - New featured article — Joy King Lau, WC2H 7BL.